Hi friends! The sweet and talented Claire is hostess this week at The Paper Players. 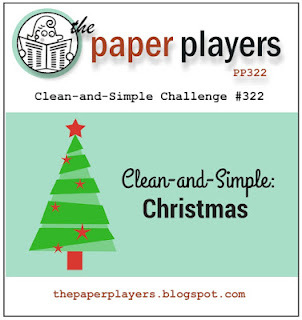 She has an easy theme for us to play along with this week: Clean and Simple Christmas. 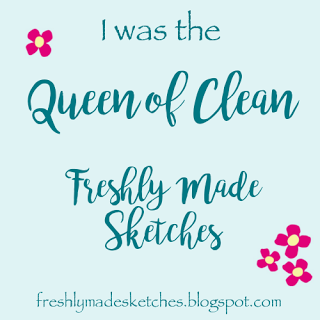 As far as I'm concerned clean and simple is my go-to for Christmas cards because that makes them easy to mass produce and to mail. That said, I really need to get into mass production mode as the days are passing quickly! 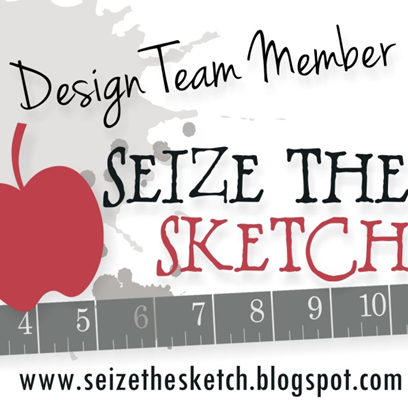 My card is definately clean with all its white space, but not so sure if all my itty bitty die cuts qualify as simple. It's surprising how much you can fit into a 3" x 3" square! It was really quick to put together though, and I always have lots of fun creating little Lawn Fawn scenes. 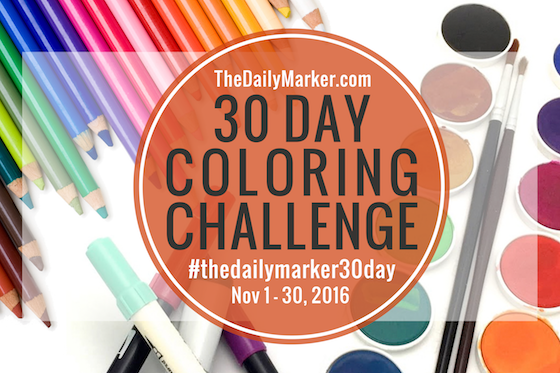 I am also playing along with the 30 Day Coloring Challenge at The Daily Marker. All I colored was my little car and presents, but I colored nonetheless! Thanks for stopping by today! Please pay a visit to the rest of our wonderful Design Team at The Paper Players, and we hope you'll find time to play along with us this week, too! Love your tiny winter scene! Adorable! All that white space really draws the eyes right toward it. Beautiful CAS creation Sandy! This is adorable! Love your sweet winter scene! Oh my gosh, this is so cute! What an adorable little scene you've created! LOVE it! I love that car. I love your imagination in making things come together. Sandy, this is as cute as can be! I love the squat little car in it's cheery red color and the festive packages are adorable. What a sweet little scene you've created--rockin' the Lawn Fawn again! Happy Thanksgiving to you and yours! Super cute card Sandy! You did pack a bunch of little elements into your 3X3 square! I need two more Christmas cards and I am done. My hubby has been making ( drawing and coloring) his own Christmas cards for 30 years. 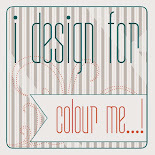 So between those and the ones I make for my stamping friends we send out about 240. That number is no joke! When we switch schools or someone retires they always beg not to be cut from the list. LOL So on it goes and the list keeps growing. We enjoy it, so that is all that matters. Happy Thanksgiving to you! Sandy, you are the queen of scenes. I love this little scene and the way you used DSP to capture the snow background. The little stitched hills are the perfect way to showcase your cute little trees! LOVE IT.... oh... and I'm on the "better get cracking on Christmas card production" boat, too! Such a sweet winter scene, Sandy. I love Lawn Fawn and your card. What an adorable little Christmas scene Sandy - I love the bright colours and tiny diecuts, so much interest in that little square! precious card. Love all the dimension.